MAPPING THE HOME or business is Caroline Patrick BorNei’s first step during her Feng Shui consultation. Using this unique method determines information about past and future choices of floor plans for her clients. She can quickly analyze environmental, physical, and spiritual needs of the current dwelling or the structure being designed. Working with designers, architects, landscapers and builders as a Feng Shui artist, her experience is beneficial in creating a harmonious environment. Using her knowledge of color and its power can help attract Chi to any space. 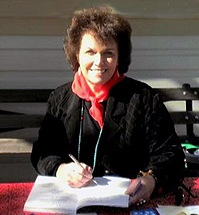 Caroline has conducted over 5000 Feng Shui consultations. Caroline is a Red Ribbon Professional and as such, she has taken extra steps with the International Feng Shui Guild to join knowledgeable leaders in the industry. All consulting members of the IFSG must complete a membership application and sign an organizational Code of Ethics prior to joining the organization. All members are held to high standards that is the essence of great Feng Shui. To become a Red Ribbon member, strict requirements and steps must be taken that test the level of knowledge, training, and experience of the consultant, including be a member of the Guild for a minimum of one year or graduate from an IFSG Gold School Program. This membership level means that the consultant has demonstrated a comprehensive understanding of Feng Shui knowledge, history, and core concepts. As an artist, herbalist, teacher, former newspaper columnist and popular speaker, she has been featured in the business section of the Contra Costa Times, San Francisco Chronicle Magazine, Mercury News, and the Vallejo Times. Her art images were featured in the International Architectural Magazine on the Power of Artwork in living and working spaces. Caroline has appeared on public and national TV. She has appeared on Janet Bowman’s TV show, Tele-classes for Coaches of America, and was a guest on World Talk Radio’s Feng Shui radio show with Terah Katheryn Collins (founder and CEO of The Western School of Feng Shui, San Diego). Educating clients and students is her passion. She is a popular speaker and teacher for many realtor-related organizations, religious institutions, government facilities, expos such as Napa Home Show speaker, city evaluation, veterinary, medical, dental and chiropractic clinics have all benefited from her advice. On staff as an art instructor for Cochise College, Arizona Central, and feng shui educator for Solano, CA. and Skagit Valley colleges and Skagit Valley WA Parks and Recreation Departments, in art, herbal medicine making and Feng Shui. Caroline Patrick BorNei’s artwork hangs in many private homes and businesses, including The Lun Yin Culture Center Temple in Berkeley, CA. As a mother and grandmother my biggest wish is for peace. Would you like to help the world? I am honored to show you the magic of placement, according to the 5 Elements of nature so we might bestow blessings on our children and their children forever.